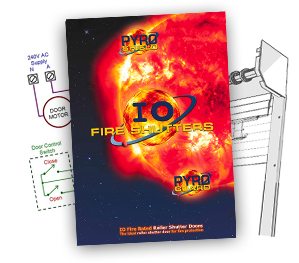 Fire rated roller shutter doors are usually a part of an overall fire and smoke control system designed to save lives and to limit damage to particular areas. 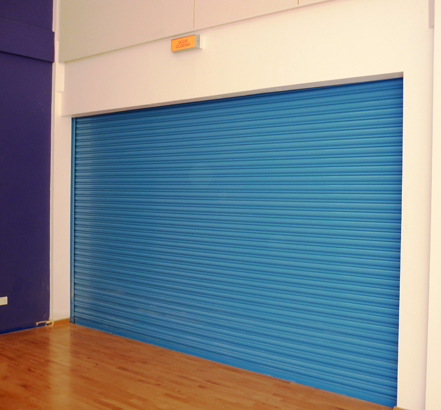 Our range of fire rated roller shutter doors are ideal for any application where the prevention of fire spreading is of paramount importance. Fire rated roller shutter doors are constructed from heavier duty materials than a standard roller shutter, has many more fixings for the structure and has slotted holes in all components to allow for expansion should the door catch fire. It is very important that the support structure that the door is being fitted to is fire rated to the same or greater fire resistance as the fire rated roller shutter door. The Pyroguard commercial fire shutter is used in applications where the aesthetics of the door is required; areas such as receptions, bar / servery counters and canteens for example require a stylish solution to fire safety requirements. The Pyroguard commercial fire shutter has a maximum of a 4hour fire rating. 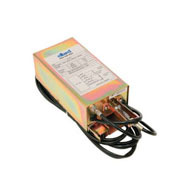 The Pyroguard commercial fire shutter is electrically operated via a single-phase 240 volt tubular motor which requires a maintained supply, if this is not available then we recommend a battery back-up unit which would enable the door to operate at least once in the event of a power failure under fire conditions. 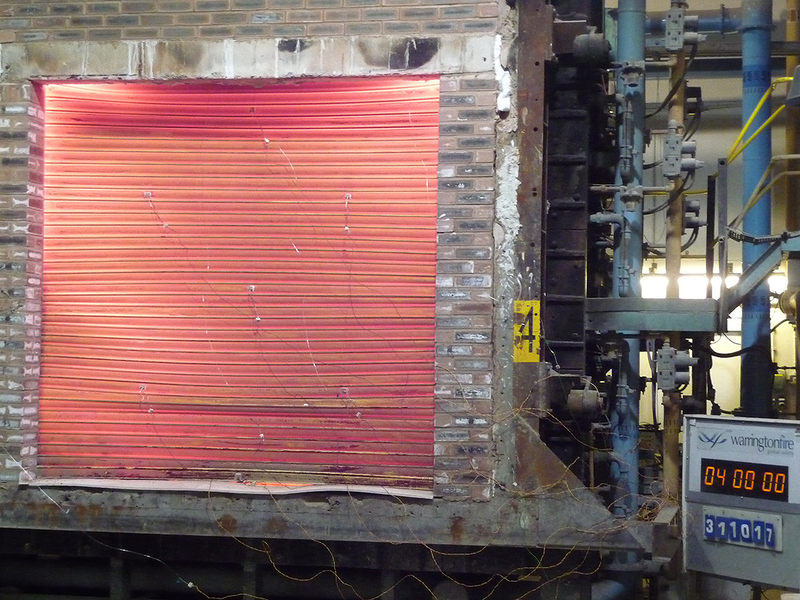 The Pyroshield industrial fire shutter is used in applications where the doors are operated regularly, such as loading bays, warehouses and factory units for example. 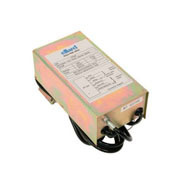 The Pyroshield industrial fire shutter has a maximum of a 4 hour fire rating and is usually supplied with a 3 phase, 415 volts, 50 hz motor but can be supplied as a single phase, 240 volts, 50hz industrial motor. The Pyroshield can be manufactured to a maximum size of 7000 mm wide x 7000 mm high and can be fitted with canopy hood support brackets depending on fire rating, size and weight. When activated the soldered link separates and releases at 64 Degrees centigrade which in effect creates a signal to the relay which in turn powers the door down. 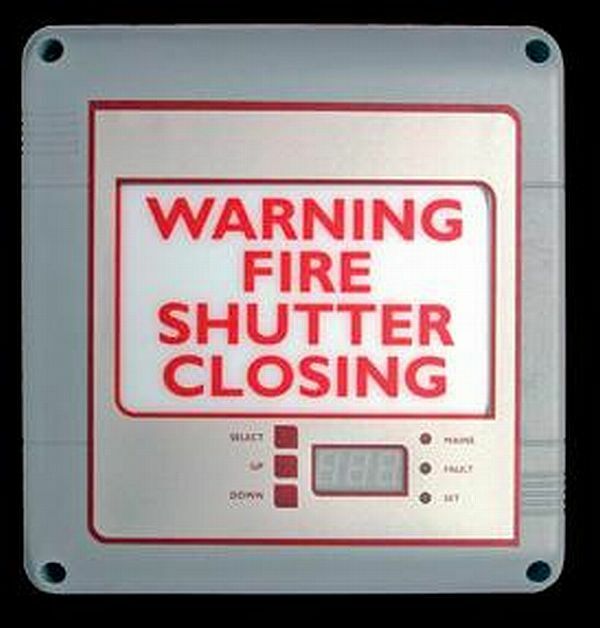 An audio and visual warning is activated when the panel receives a fire alarm signal, the shutter will then start closing after a pre-determined delay (10-240 seconds). 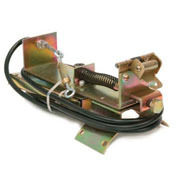 All solenoid release mechanisms are designed to be linked to the fire alarm, the signal required from the alarm is 24 volt, 0.5amps on activation. The signal on the fire alarm will trigger the manual release and allow the door to close under the controlled descent. 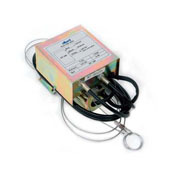 This is linked to the fire alarm with the same signal requirements as the manual solenoid release. This is the most commonly used activation allowing for frequent testing and resetting, when the door is returned to the open position, after removal of the fire signal, the solenoid can be automatically reset. Each IO Fire rated roller shutter door has been fully tested to the CPR (Construction Products Regulation) EN13241-1:2003 + A1:2011 by a UKAS accredited testing laboratory and is supplied with a DoP (Declaration of Performance) copies of which can be downloaded within the “members section”.